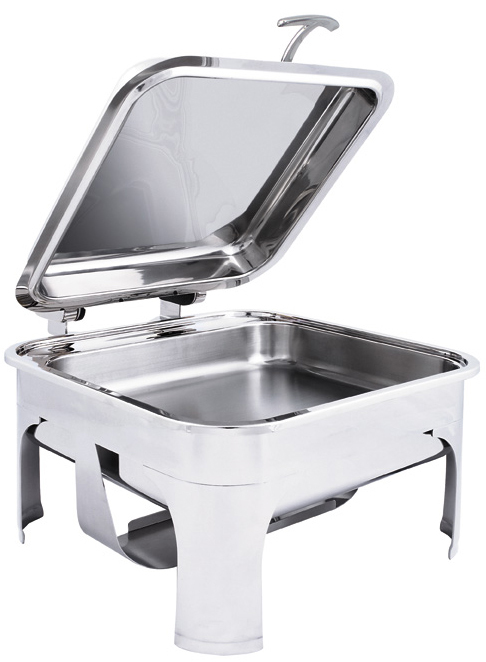 Our 36 cm Sauteuse Server with Stand – 18/10 mirror-polished stainless steel, with chrome accents. Capacity varies depending on the insert you purchase. 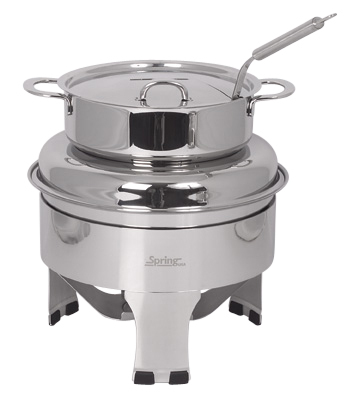 Choose from stainless steel or white porcelain inserts. Going Green? Purchase the optional Electric Heating Element – Item #9520 or Item #9524/1. Electric Heating Elements eliminate the need for canned fuel and open flames. Looking for this server with gold accents? 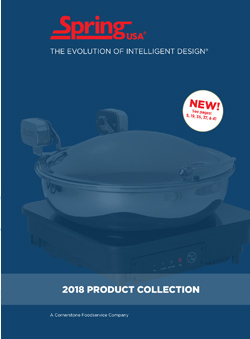 Contact your Spring USA Sales Coordinator and ask about Item #3372-6/36G. Server is special order. Replacement Axles are available ~ Request Item # AA-644. Replacement Rubber Feet for the Stand are Item #EBU-237. 18/10 Mirror-polished, stainless steel with chrome accents. Inserts are sold separately. Full size insert is Item #374-66/23. When using standard 2/3rd inserts (Item #521-66/23, Item #522-66/23) or White Porcelain (Item #9543/2) or when using standard 1/3rd inserts (Item #521-66/13, Item #522-66/13) or White Porcelain (Item #9453/1) and adapter ring is needed. Adapter Ring is Item #374-651/23. Going Green? Eliminate the use of open flames and canned fuel, by ordering our (optional) Electric Heating Element. Request Electric Heating Element Item #9520 or Item #9524/1 and save some $$$. Replacement Axles can be ordered for this server. Contact your Spring USA Sales Coordinator and request Item # AA-648. Looking for this server with gold accents? Contact your Spring USA Sales Coordinator and ask about Item #3374-697. Server is special order. Featuring our patented, hinged & notched cover. This is an impressive piece for any venue! An extremely stylish vessel & stand in mirror-polished, 18/10 stainless steel. It is easy to see why this is a suite & banquet must-have. The hinged, notched cover allows for the ladle handle to stay put. 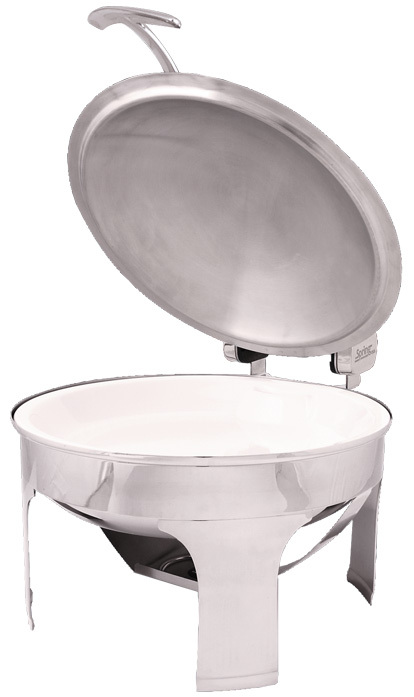 Remember to order the Tureen Ladle, our 11″, stainless stell, 6 ounce serving piece, with bent handle. It is Item #M3505-76. Looking for a different style cover? Contact your Spring USA Sales Coordinator for additional cover options. Check out our entire line of Electric Heating Elements to eliminate the use of open flames. Our (optional) Electric Heating Element is Item #9503. Replacement Stands are available under Item # E375-6/6. Additional Tureens are Item # 375-60/6. Replacement Water Pans are Item # 621-66/WE. Replacement Rubber Feet are Item # EBU-237.